New York City politicians led by then-Congresswoman-elect Alexandria Ocasio-Cortez greeted news that Amazon would be building a massive new campus in Long Island City, Queens with outrage after the company revealed that it would receive up to $3 billion in "performance-based" city and state tax incentives, as well as money from Empire State Development - money that, some argued, would be better spent fixing the goddamn subway. And in the months since the announcement, an inchoate resistance of left-wing lawmakers has formed to try and sabotage the company's plans to build its new (helipad-equipped) campus just blocks away from the infamous Queensbridge Projects. Until this week, the resistance consisted mostly of a few scattered protests and angry tweets. But for the first time on Monday, opponents of Amazon took a step giving them a real shot at sabotaging the company's plans when the leader of the New York State Senate selected Queens state lawmaker Michael Gianaris to serve on the Public Authorities Control Board. The board must still approve the development grant to Amazon. And with one of the state Senate's most vocal opponents of the deal now on the board, it stands a very real chance of getting voted down. Andrea-Stewart Cousins informed Gov. Andrew Cuomo, who has taken credit as the chief architect of the incentives deal, of her decision in a letter obtained by the New York Times. Gianaris has denounced the incentives for Amazon as "offensive" and has intimated that he would block the project, if he could. 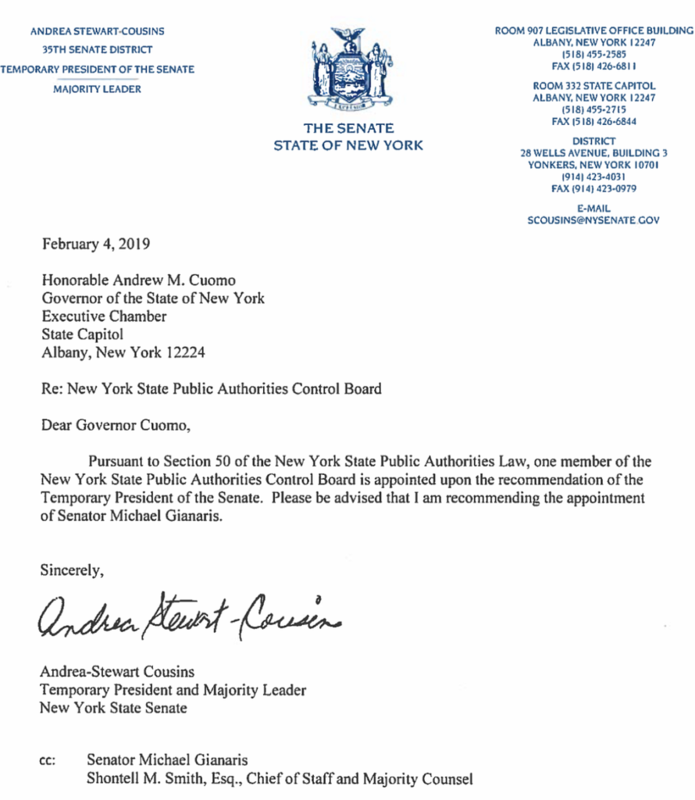 But assuming that Cuomo doesn't block his appointment to the board (which is a very real possibility since the governor must confirm all of the board's members), Gianaris would effectively have unilateral authority to kill the deal. The PABC has three voting members, any one of whom can derail a proposal by voting against it. 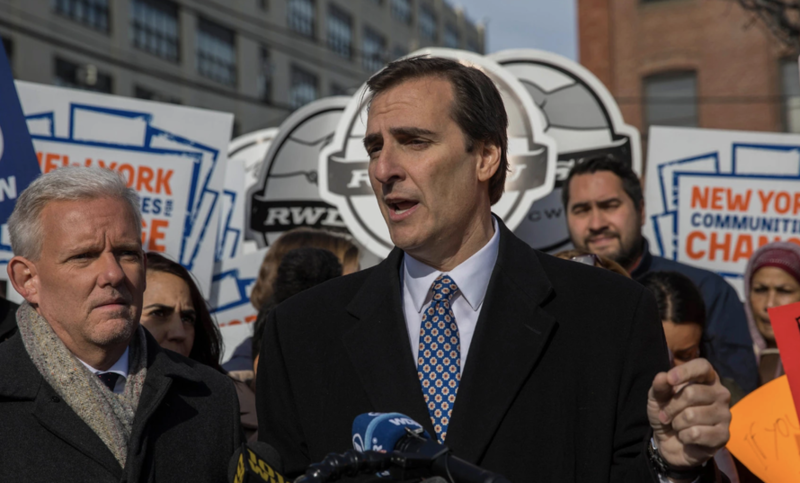 "My position on the Amazon deal is clear and unambiguous and is not changing," said Mr. Gianaris, who has been present at protests against the deal. "It’s hard for me to say what I would do, when I don’t know what it is I would be asked to opine on." "I’m not looking to negotiate a better deal," said Mr. Gianaris. "I am against the deal that has been proposed and don’t believe that it can form the foundation of a negotiation." Despite early doubts that the deal wouldn't come to a vote before the board, Cuomo said last year that the board would be expected to vote on $505 million state capital grant that's part of the package offered to Amazon. But in an interview with WNYC on Tuesday, Cuomo refused to say whether he would block Gianaris's appointment. He also said that Amazon "hasn't done a very good job" communicating its message, which one journalist on twitter mocked as "the understatement of the year." However, a spokeswoman for his office blasted Senate Democrats for opposing "the greatest economic growth potential our state has seen in 50 years." Amazon has promised to create some 40,000 jobs at its new campus - jobs that reportedly will carry an average salary of $130,000. The question is: Gianaris vetoes public funding for the project, would Amazon press ahead with its plans? Or would it simply opt for a single HQ2 located in Virginia? Or perhaps it would seek another location altogether.